Sort your formal styling for the season with our edit of quirky shirts & timeless staples..
Keep your seasonal smarts looking fresh with longline cuts and bold prints. Or stay classic in a cotton Oxford for your desk or dinner. Choose from close to nine hundred styles - flannel, denim, chambray, poplin, Oxford, checked, striped, corduroy, twill, and many others. Whether you prefer slim fit or regular fit; sharp collars, open colours or grandad collars; plain or patterns; pockets or no pockets; short sleeve or long sleeve, our collection has something for every occasion. 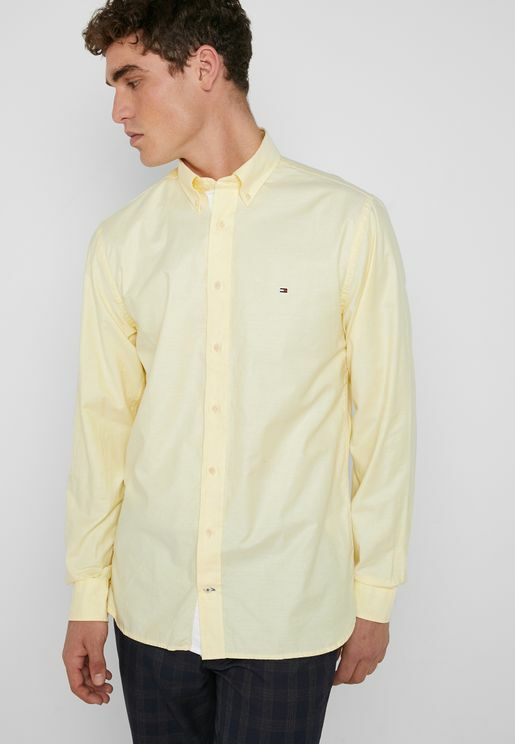 Our range includes a variety of shirts from top brands including Brave Soul, Burton, CALVIN KLEIN, Diesel, Fifteen Minutes, Guess, J.Crew, Jack & Jones, Lacoste, Lyle & Scott, Mango MAN, Minimum, Native Youth, New Look, Only & Sons, Produkt, Selected Homme, Ted Baker, Tommy Hilfiger, Topman, and others. 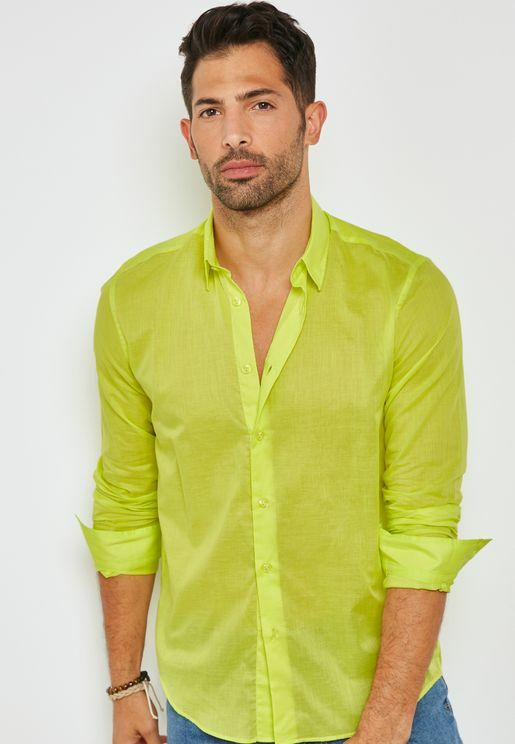 Browse our full range of shirts for men to see what have in store. Ideal for work, after-hours, weekend, and formal events, shirts pair well with everything from shorts to jeans, chinos and suits. Look for smart work shirts in a wide choice of fits and colours, from linen shirts to comfortable cotton shirts. Try our laid-back men's flannel shirts to complete your off-duty style throughout any season. Whatever your preferences, finding shirts that fit in all the right places is easier than ever, thanks to Namshi. Buy men's shirts online and enjoy fast shipping, world-class service, and an all-round fuss-free shopping experience.